Lock in a great price for Keemala – rated 8.9 by recent guests! We have a great interaction with the evening chef recommending a great combination of dishes and side dishes we taste and love. Just when ever you enter the resort you are in the paradise with a privacy (especially room #305). The staff were so kind and helpful ,the provided everything thing that I’ve requested in pre check in form, and I would like to thank Mr.Noom he was so kind with us and prepared for us our unforgettable moments. Spa was unbelievable. Staff was incredible. Loved our private pool. Great villas with stunning views. Special thanks to Jeab. 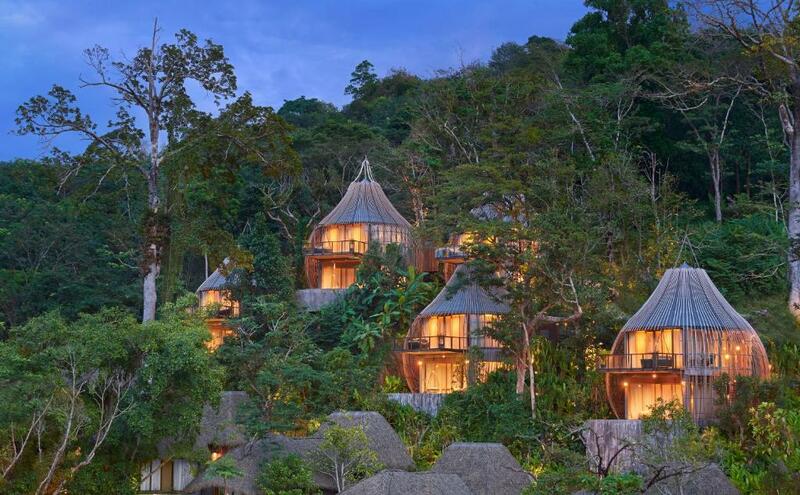 I stayed on both bird nest and tree house, they are both amazing but I prefer the bird nest as it will s spacious and luxurious with huge pool and wide view. everyhing😍😍😍. i would like to thank Mrs Peach in front desk for her welcoming and support. she is one of hardworkeker talented staff. she did all she can to solve problem that we were facing. in addition i had opportunity to meet the chef Mr Satish. i have never eaten such nice delicious indian food and this is same to apply to Thai Chef in the hotel. in short the best kitchen i had in my life. Keemala This rating is a reflection of how the property compares to the industry standard when it comes to price, facilities and services available. It's based on a self-evaluation by the property. Use this rating to help choose your stay! Keemala is nestled amid lush flora atop rolling hills overlooking Kamala Village and the Andaman Sea. This resort features a spa and wellness center, soothing massage treatments and a restaurant. Kamala Beach is 1.2 mi away. Guests are provided with free WiFi access throughout the stay. Featuring a private pool, each tastefully unit is complete with multimedia, seating areas and a terrace, which enhances stunning views of the below woodlands and the glittering sea. Complimentary soft drinks, local beer and snacks are available in the mini-bar. Private bathrooms are all supplied with a bath and free charming toiletries. For added conveniences, Keemala provides a 24-hour front desk, laundry service and luggage storage. Guests can arrange day trips or ticketings at the on-site tour desk. Guests can also enjoy working out in the fitness center or getting extra sweats in sauna room. The property is a 5-minute drive from Phuket FantaSea and a 15-minute drive from the bustling nightlife on Bangla Road in Patong. Phuket International Airport can be reached under 12 mi from the resort. Open for all-day dining, the in-house restaurant serves Thai and international cuisines prepared from the fine, fresh produce and ingredients. In-room breakfast and special diet menus can be arranged upon arrival. 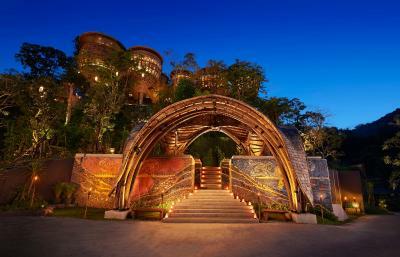 When would you like to stay at Keemala? Featuring a private plunge pool, this unit comes with multimedia, seating areas and a spacious terrace. Guests can enjoy a bath in the private bathroom. Offering rainforest and resort views, this villa is complete with multimedia, a seating area and a private plunge pool. The spacious bathroom includes a rain shower and a separate bath. There is also an outdoor shower. Embraced by the lush greenery, this villa features a private plunge pool overlooking the Andaman Sea. Its living room is well complete with multimedia and seating sets. Complete with hardwood floorings, this villa with a private plunge pool is bright and airy, and comes with a spacious seating area. Guests can enjoy breath-taking views from most corners. House Rules Keemala takes special requests – add in the next step! Keemala accepts these cards and reserves the right to temporarily hold an amount prior to arrival. Please note that the name of the guest during booking process must be in English only. Please inform Keemala of your expected arrival time in advance. You can use the Special Requests box when booking, or contact the property directly using the contact details in your confirmation. The pool in my villa is at front and very close to the entrance of the villa so less privacy. My villa is at the lowest level, l guess, may be because i have baby but convenient to access the main pool and facilities. The cleanliness is below the 5 stars hotel standard. There was a frog died beside my bed and had some dirt under the cabinet. And the hair dryer has no heat at all. Close to Nature, Quiet,The villa design is nice. The bed is very soft like marshmallow. The bathroom is very big especially the bathtub. Very good design. The breakfast was good, fresh and hot from the kitchen. They made order by order. I had a problem with the front desk early in the morning when asked to show us the Clay unit available to extend our stay one more day. I called the front desk the previous evening asking about it, with a clerk helping us greatly confirming to have not the same room we ask for but the clay room version which we agree to take previous visit to the unit to check it out. We agree to do it the next morning after breakfast. To our surprise, a different clerk told us that morning that all was book. We insist politely that we had talk about it the night before with one of her team and being told that one clay room is available. She insisted that they have all 100% booked. When checking out that same day, the clerk that help us finding the available room was surprise of we checking out stead of staying as we also wish. There was an exchange between the two clerks in their own language with the neglecting clerk commenting to us about the clay room being also a nice room to take. I dismiss her comment being already on a check out mood and address the helpful clerk who did the check out thanking her for all her help; and told the other that she should come up clean apologizing for her mistake as the simplest thing to do. All our interaction was taken in a polite way of course with me putting some emphasis on the matter as one should obviously. The tent room was too noisy .... there was way too many sounds from the nearby areas. The clay room amazing. The rooms were unreal , one of the best tropical properties I’ve stayed in. The bathrooms were top notch. A unique resort with all the amenities you want... Place to be..place to stay!! The location is bit far from Patong where are the most activities and the nightlife but it’s not an issue as long there are taxis can take you there anytime.